As with much of my work, I like to try and capture anonymity and the overlooked. I’m fascinated with what we see but do not. A parking lot in a seaside resort town reveals the pursuit of reaching enchanted places during the hot summer months without revealing the beauty of the location itself. The cluster of parked cars offers that somewhere in this location there are the anonymous visitors taking a summer day by the sea. 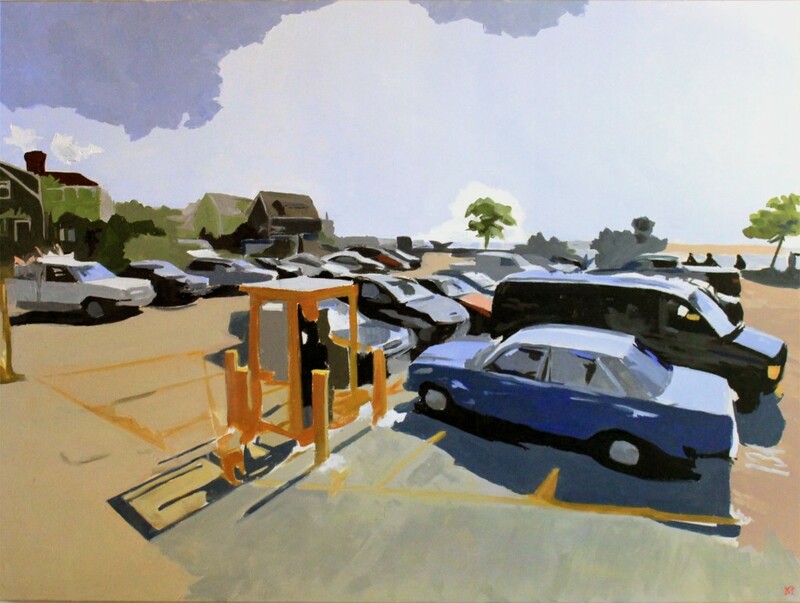 The lines of the parking spots, or the rows of cars, offer a depth that I look for in realism. The bleached out hues hint to the intensity of the high sun. The pale tones of the asphalt at high noon emits heat. It’s a hot day and everyone wants to get to somewhere with a breeze and water. The price? Hot door handles, inferno cabin interiors, long rides, and the risk of not getting to park at the beach at all after driving two hours from the city due to it being full.